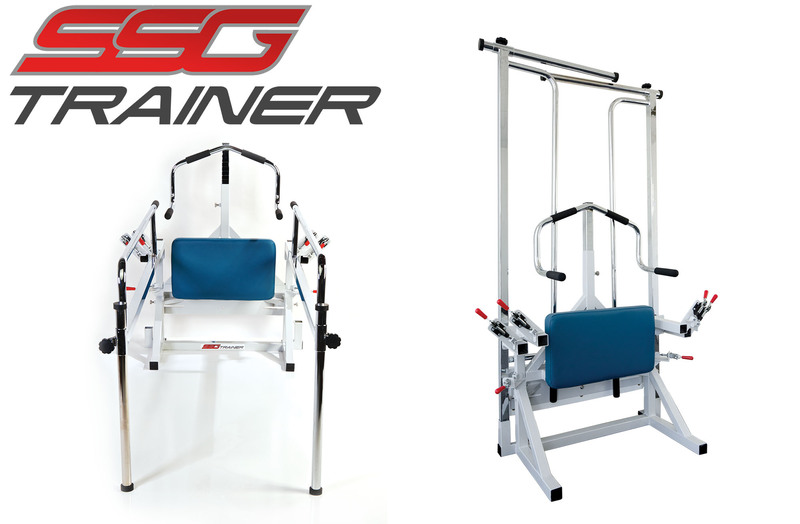 The SSG Trainer, a space saving wall mount parallel bar system and sit to stand trainer. 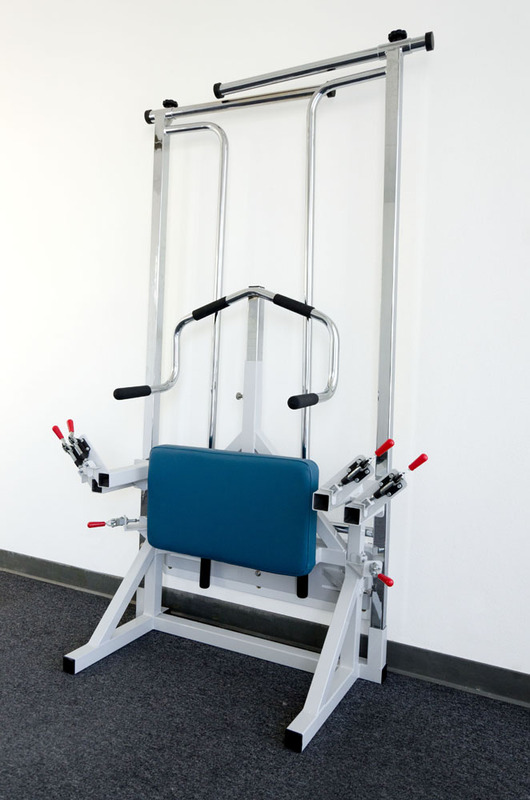 The Sit-to-Stand Gait (SSG) TrainerTM is a unique wall mount parallel bar system that will transform your rehab gym. It accomplishes this by giving you more tools while taking up less space. Here’s how the SSG Trainer works. 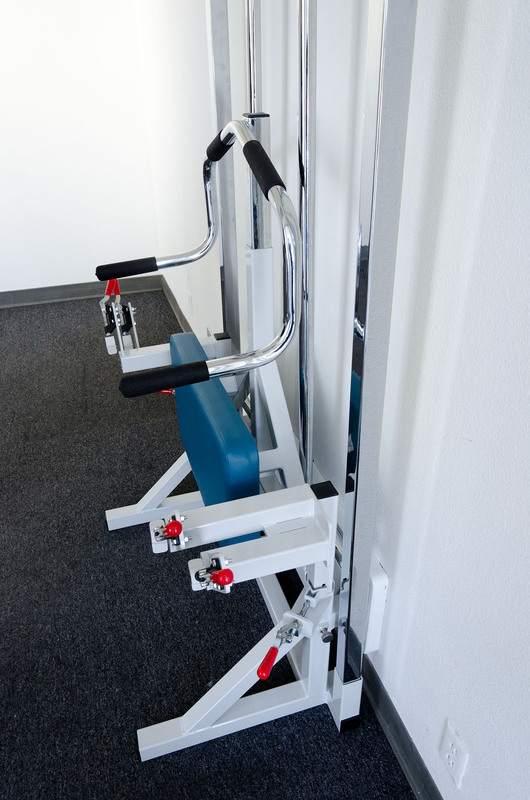 Traditional parallel bars use up a large amount of space and wall mounted units are typically not as sturdy, however the SSG Trainer gives you both incredible sturdiness and storability. 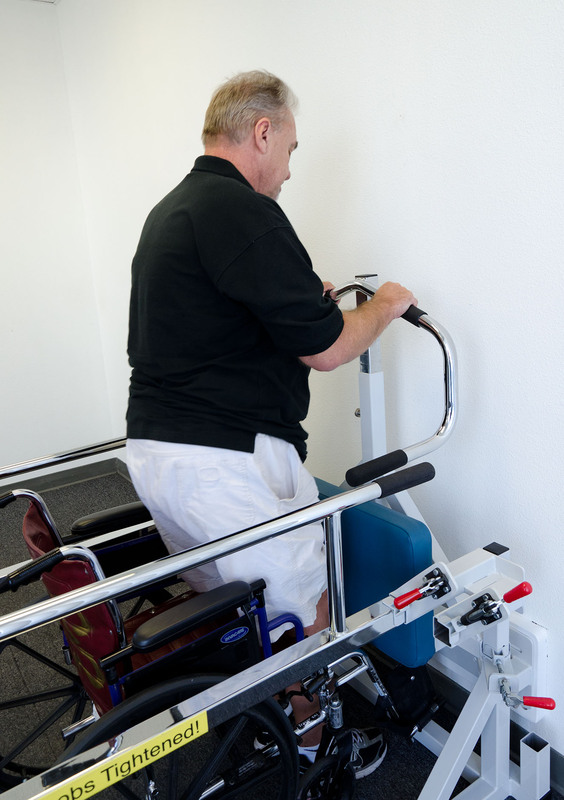 Easily accommodates regular as well as bariatric size wheelchairs. 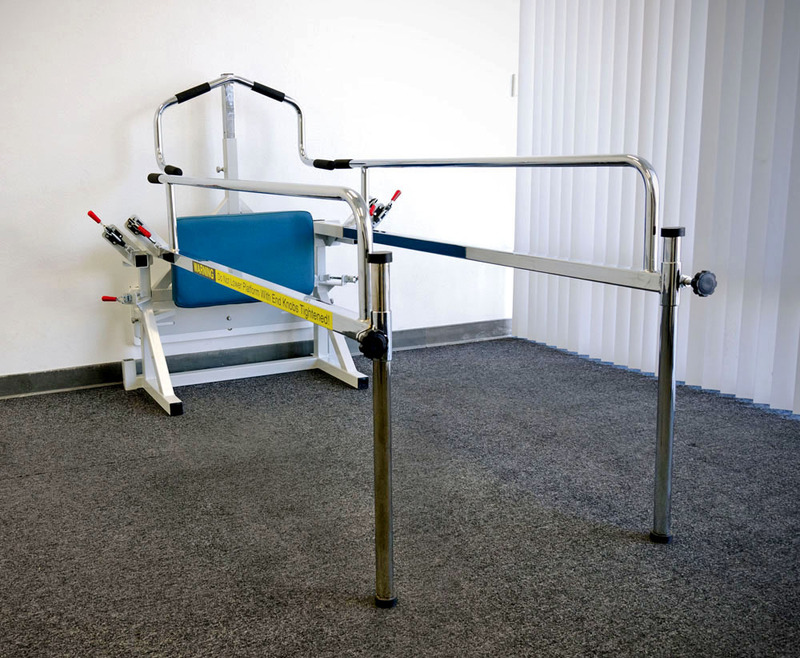 Parallel bars can be stored behind the unit or they can be placed side by side allowing patients to use them for exercises and standing activities. Parallel bars can be used in conjunction with the BarihabTM series of treatment and assessment platforms as well as the IRT-34TM. 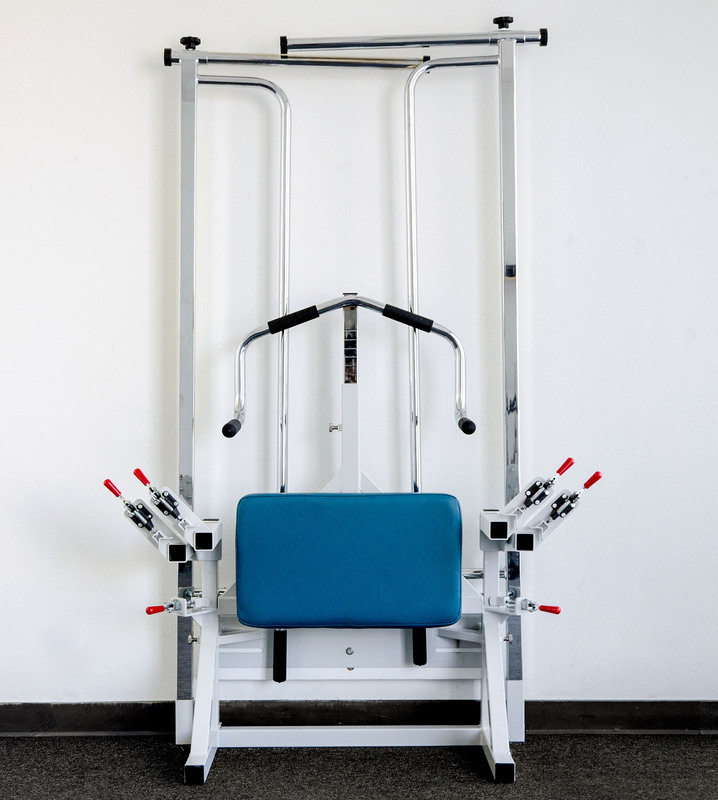 Sit-to-Stand exercises can be performed with the adjustable pull-up bar and knee blocker, which is unique only to the SSG Trainer. PARALLEL RARS ARE ADJUSTABLE HEIGHT AND WIDTH. The SSG is proudly designed and built in the U.S.A.